You can return your MensaCard at the mensa on Thursday and Friday between 8:00 and 14:30. If the Mensa is already closed, there is a way to get the money back in the library of the Humboldt University, which is just 2 mins away from the conference location. The library building is open from 08.00 to midnight on weekdays and from 10.00 to 18.00 on Sat/Sun. 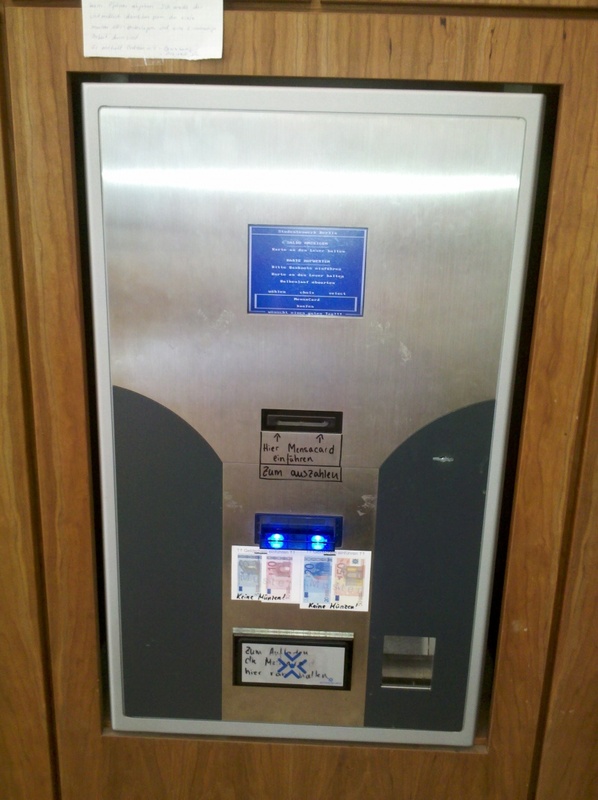 In the library you will find a machine similar to the ones for charging the MensaCards that is also able to take back cards. Note that you will only get back a maximum of 20 € (incl. 1.55 for the card). 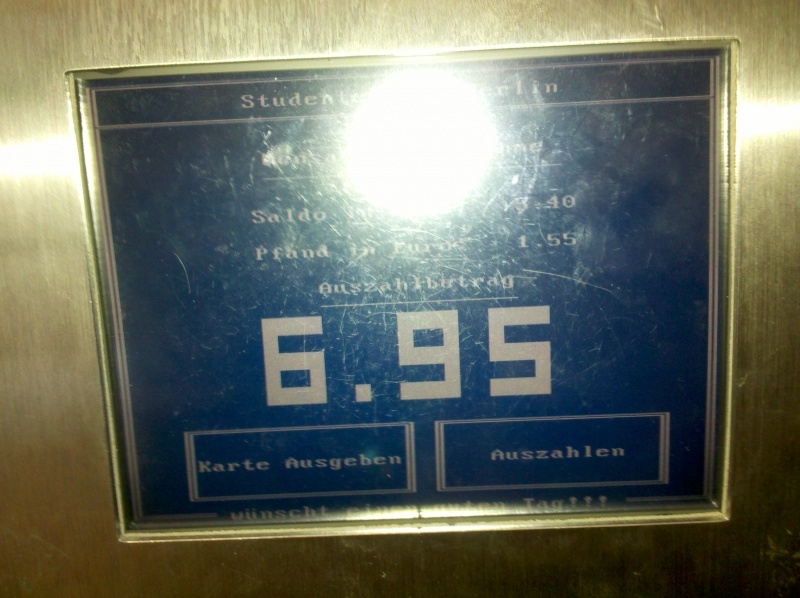 Just enter your card in the slot and press on "Auszahlen" on the bottom right. This page was last modified on 11 August 2011, at 14:52.